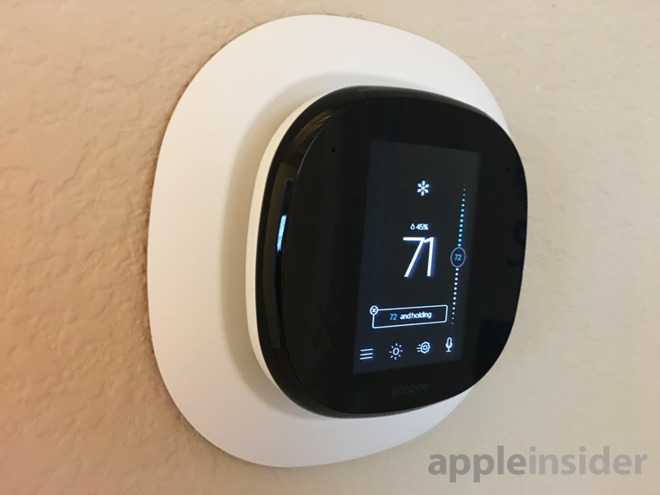 For me, at least, the concept of a smart thermostat has had a strange appeal since the launch of the first-generation Nest. It may be because my body heat is out of control —I'm the lunatic who opens the window when it's still jacket weather outside. 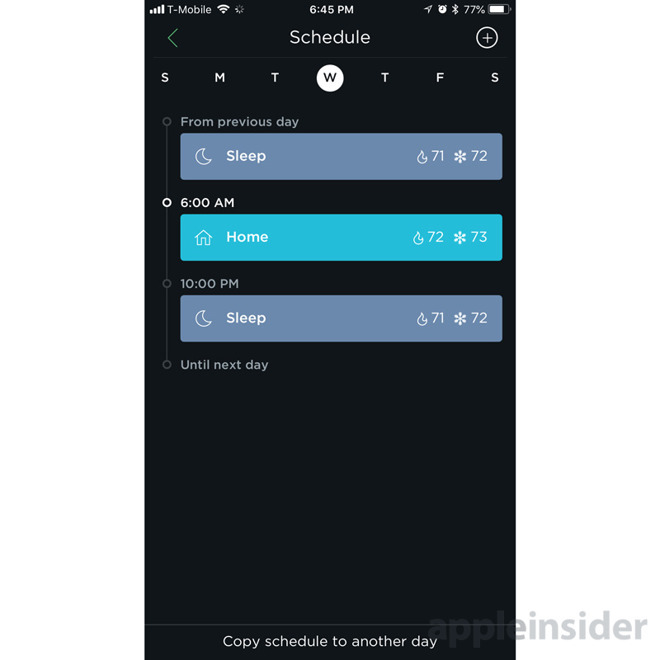 But I also enjoy gadgets that can save you money, and just the concept of home automation delivering pure comfort when I want it. The ecobee4 has another trick —a built-in Alexa speaker —but we'll return to that shortly. Some people like myself are going to run into extra complications by the nature of their heating and cooling systems. We discovered the hard way that our test house uses a heat pump — until we found an article on Ecobee's website explaining how to fix the problem, temperatures soared to 85 Fahrenheit as our HVAC system blasted heat instead of cooling. 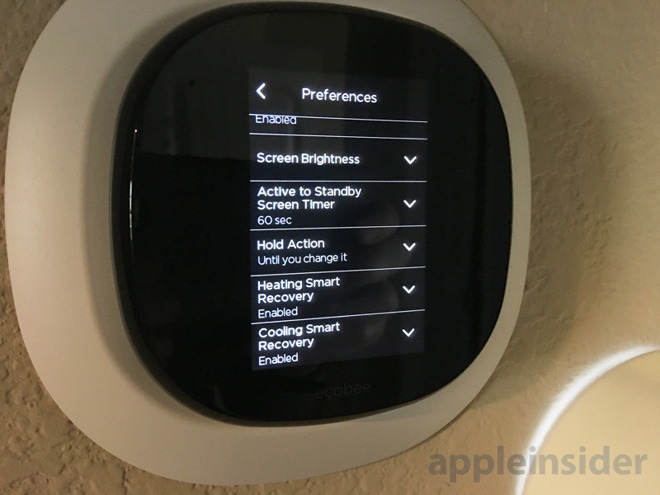 It's critical to know what equipment your house has before attempting a self-install, or even buying the ecobee4 in the first place, since some homes may not be compatible. It does however support a wide range, and Ecobee's website teaches you how to check. 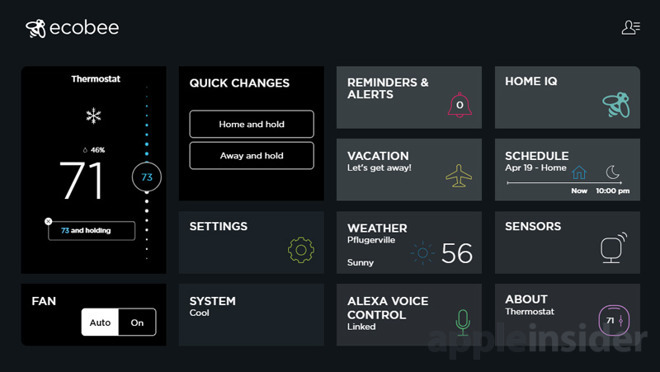 Most general Alexa commands are supported too, so you can look up facts, hear news, and control other smarthome products. There are some unfortunate limits —our ecobee4 would only play samples of Spotify tracks despite a Premium account, and you can't incorporate the device into automated Routines. 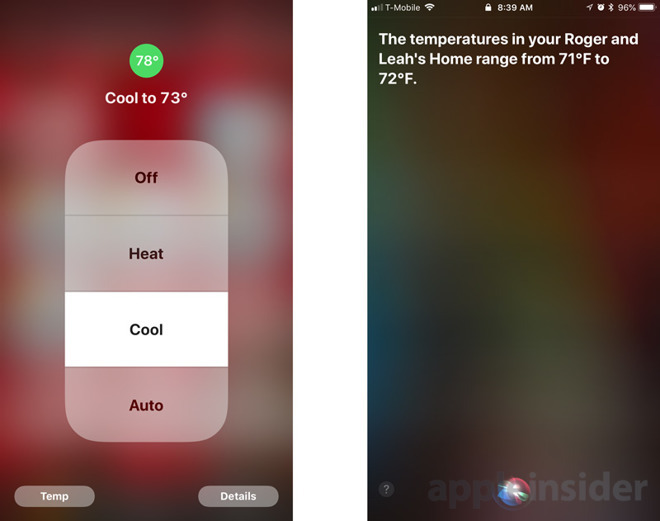 Scene integration can be quite useful, and arguably one of the main reasons an iPhone owner might pick Ecobee over Nest. 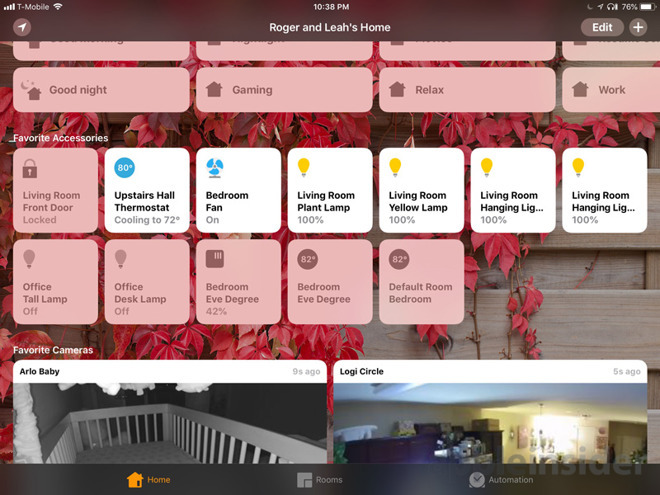 With appropriate accessories and tweaks the "I'm home" scene might not just turn down the temperature but unlock your door, turn on the lights, and start a pot of coffee brewing —all triggered by geofencing or a Siri request. Thanks to our power provider's app, we noticed an almost immediate dip in energy use. Nothing dramatic —perhaps saving less than $2 worth in the first week —but that trend seemed to continue in the second week, and could make a real dent in the long run and/or in homes that consume lots of energy.